North Meath get the second half under way and put pressure on Longford, getting close to their 5 metre line. But some good defending sees the home team penalised for holding on and Emma Dardis puts in a hugh kick to relieve the pressure. From the lineout Laura puts in a clever chip kick and great chasing from Rebecca Loftus and Rebecca O Hara means Longford regain possession and a quick ruck gives Laura the space to run in under the posts with Emma kicking the conversion. 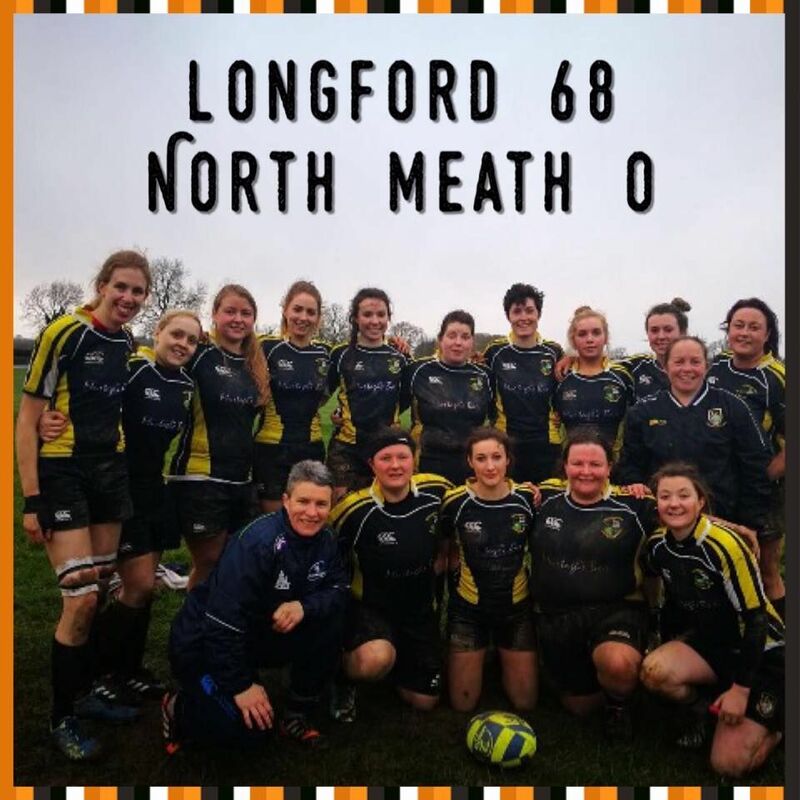 Longfords forwards were counter rucking well with Kirsty Smyth and Margaret Mckenna managing to steal the ball they shipped it out to Laura Gallagher who again out paced everyone to score under the posts with Emma adding the two points. It was now time for Longford to again soak up some pressure and having been camped on their own 5 metre line they manage to get their hands on the ball and Emma puts in another great clearing kick and good chasing sees Longford get their hands on the ball and great hands between Emma, Rebecca O Hara and Laura sees Laura go in under the posts with the 2 points added by Emma.